With an adequate moisture source, even the most minor cases of indoor mold growth can spread and develop into a major cleanup project if property owners are not careful. If there are suspicions of potential fungal activity, you should consider calling an expert mold inspector in your South Jersey area to complete a comprehensive mold inspection Atco, NJ. A complete investigation of your NJ property (through a visual assessment, moisture mapping, thermal imaging, and testing) will be able to confirm whether or not you have a mold problem. If your mold inspection confirms your suspicions of an existing mold problem, the information gathered during the initial mold inspection will be used to develop a detailed inspection report, which will include a easy to read outline of all findings and a full recommended scope of work with preventative requirements. 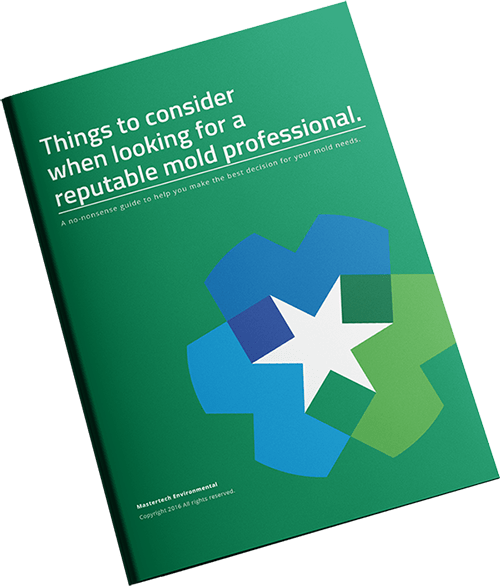 If the mold inspection findings disprove the existence of mold, your inspector will document all his findings and present them to you in a clear, concise report. Most importantly, you will have a peace of mind knowing that your home is safe for you and your family. MasterTech’s mold removal and mold remediation process is second to none in Atco New Jersey. For South Jersey home and property owners, the discovery of mold can be frightening. Worries about family health and safety, loss of property value and mold cleanup costs can lead to sleepless nights. No matter how extensive the mold problem, MasterTech’s guaranteed mold mitigation methods restore your property safely while maintaining its value. Offering safe and effective Atco, NJ mold removal services, Mastertech has helped lots of families through mold problems. 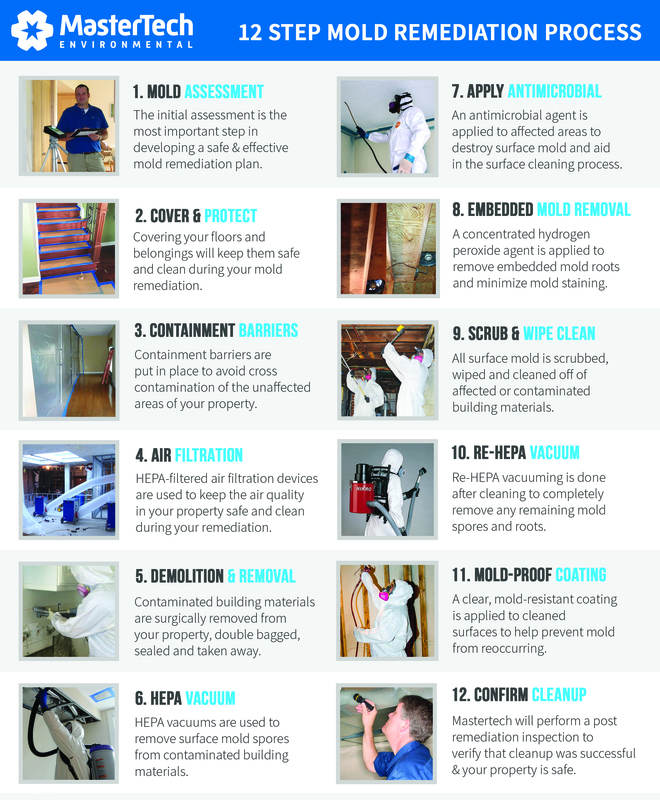 MasterTech’s team specially trained mold remediation technicians follow a step-by-step mold remediation process. Our technicians adhere to strict safety protocols. Each mold remediation in Atco, NJ incorporates the safest and most up-to-date methods and techniques, so we can be confident that the job is done right the first time. Finding a trustworthy, certified mold removal and mold testing company in Atco New Jersey can be a daunting task. We understand your concerns and promise to live up to – and exceed your expectations. As a matter of fact, we guarantee it! For years, New Jersey families and businesses have trusted Mastertech with the most sensitive mold cleanup and mold inspection situations. And whether you need mold removal for a real estate transaction or just because you are concerned for your family’s health and want to maintain the value of your property – Mastertech guarantees that we will get the job done right – the first time. You do not need a flood to cause basement mold in Atco, NJ in your residential or commercial property. Unsuspecting factors like humidity, condensation and poor air circulation cause and sustain mold growth more often than flooding or water leaks. Since most of your basement foundation walls are underground, they tend to seep or leak moisture through tiny pores and cracks. Basements that are constructed of cinder block, poured concrete or rubble walls are very vulnerable to leaks– unless you have taken the initiative to have the basement properly waterproofed. The first sign of potential water intrusion in your Atco, NJ basement is usually water staining or efflorescence. Efflorescence is the white, powdery substance that develops on the foundation wall surface. It is the result of water or vapor seepage which forces soluble salts and minerals to the surface. Often times, the substance is mistaken for fungal activity. Efflorescence is not mold, but it is a sign of water or moisture seepage which can cause mold. If you suspect mold or have a damp conditions and a musty odor in your basement, give us a call. A quick inspection with moisture meters, thermal imaging cameras and a couple quick mold tests will help us determine if you have a mold problem. Most crawl spaces contain perfect conditions to support mold growth. Porous building materials and poor building envelope design play a huge role in most crawl space mold. Many Atco, NJ crawl spaces are poorly vented with undersized wall vents. Although this seemed like a great idea years ago when they were introduced and added to the construction code, they have made moisture and mold issues worse. In spring and summer, crawl space vents introduce warm air into cool crawl spaces causing condensation on wood and masonry building materials. The same effect happens during cold seasons – only in the opposite order. Discovering attic mold in your Atco, NJ home can be overwhelming. A poorly maintained attic is the ideal breeding growth for mold. If not properly ventilated, moist air gets trapped and infuses itself into the attic sheathing and rafters. This moist air can also increase airborne mold spore levels which can settle into insulation and on belongings stored in your attic. If you suspect mold development in your attic, you should consider consulting an expert who is properly trained to properly diagnose attic mold and prescribe an appropriate solution. If you suspect a mold problem in your Southern NJ residential or commercial property, call MasterTech Environmental to schedule an appointment for a Camden County, NJ mold inspection. For mold removal in Cherry Hill, NJ or mold inspection in Haddonfield, NJ call 1 (800) 310-3226 today. We will be happy to answer any questions, walk you through our process and schedule an appointment with one of our specially trained mold inspectors. Thanks again for the work you and your company did for us. We appreciate the hard work you have done. Without it we would not be able to enjoy our new home.